The New South Wales Golf Club is a private members club. Visitors from Interstate or Overseas are welcome during certain periods of the week. Such visitors will need to be members of a recognised golf club, with a current membership identification card or a letter of introduction from the home club. Contact Planet Golf for assistance with tee times. 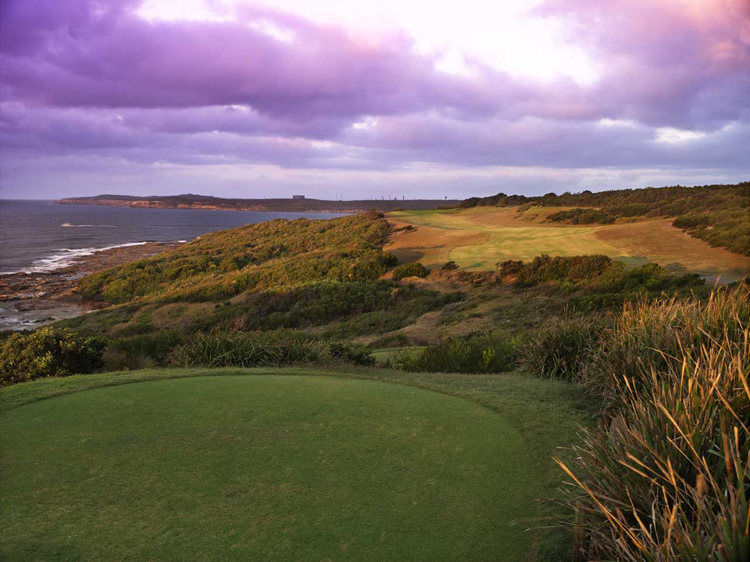 Situated on the rugged cliffs of Sydney’s La Perouse headland, the spectacular New South Wales Golf Club overlooks Botany Bay where Captain James Cook first sailed into Australia aboard the Endeavour in 1770. For golfers, however, it was the visit of another intrepid British pioneer which gives this site its special historical significance. During his 1926 stay in Australia, legendary designer Dr Alister MacKenzie visited the La Perouse site to design a course for the newly formed club. Enthused by its potential, MacKenzie produced the initial routing map for the course, though its subsequent success cannot be solely credited to his design genius, as the work of Eric Apperly in completing the architect’s plans after he departed was also pivotal. MacKenzie left New South Wales bunkerless, with Apperly entrusted to position the hazards once patterns of play had been established. The resultant bunkering, though not as stylish as some of MacKenzie’s more famous features, did compliment the design and was well suited to the landscape. Apperly also made a number of changes to the layout during the subsequent years, the most significant being the shifting of the 5th tee and the building of the world-renowned 6th hole in the 1930’s. The tee on 5 was originally positioned on an elevated sand dune left of its current location with the rocky Cape Banks shoreline visible from the tee. After the army reclaimed some coastal land during World War II, the tee was moved inland making the hole straighter and the drive blind across a ravine and over an enormous rise. From the summit of the fairway the hole plunges almost 100 feet down toward a tiny green and the mighty Pacific Ocean, this view of falling fairway and crashing waves the most magnificent in Australian golf. Equally memorable is the fabulous par three 6th, played from a rocky outcrop behind the 5th green over the sea to a small sloping target back on the mainland. Completing a stunning stretch along the coast, the uphill 7th, heading away from the sea, is another superb hole that, although straightened, remains largely as MacKenzie intended. A second coastal loop on the back nine, 13 through 16, is also world-class with a series of difficult par fours played along and away from the cliffs. The best of these is the 14th, an extreme short four which is blind across a wild fairway ridge into a hidden valley, followed by one of the game’s great pitch shots up into its exposed skyline green. Offering no respite, the 15th is then the hardest hole on the course and demands a strong, straight tee shot through a narrow chute of dunes and tea-tree to reach a saddle at the fairway’s crest. Missing the drive usually means reloading while a good tee shot here sets up an uninterrupted view of a beautiful green site shifted almost one hundred meters to its present position by Apperly. Wonderfully rugged and exposed, the entire course offers tremendous views and a series of dramatic holes built around, over and through the hills and valleys that lead toward the coastline. 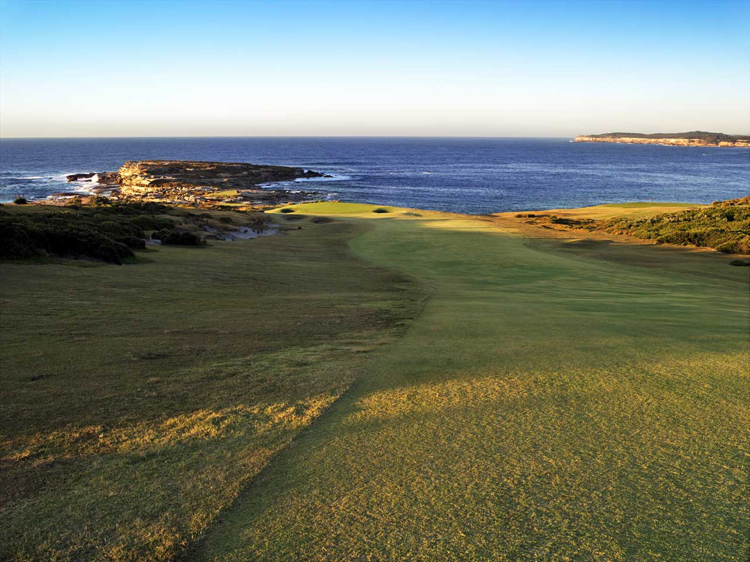 The routing, as much as the setting, makes La Perouse special and despite more than seventy years of tinkering and evolution, twelve holes and the majority of the standout moments remain either MacKenzie originals or variations on a theme he first suggested. 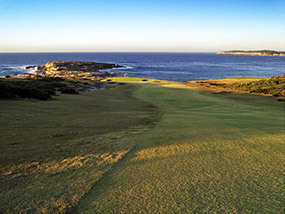 Of those altered the most notable are the four Apperly par threes, which form the best set of short holes in Sydney, and the par five 8th which is a combination of two MacKenzie holes. In the decades since Apperly’s passing a number of Australian designers have been involved in reshaping problem areas here, including the firms of Peter Thomson, Jack Newton and Greg Norman who, along with Bob Harrison, strengthened the soft opening hole and also reshaped the troublesome skyline green on the 3rd. The most significant improvements, however, were made during a recent in-house restoration program, that involved rebuilding the more exposed traps with a traditional revetted face. While there are still some weaknesses in its extremities, and the architecture and construction may be more sophisticated elsewhere in Australia, few courses of any era, or from any country, are as exciting to play as the timeless New South Wales Golf Club.